The Bench comprising of Justices P.C. Ghose and Amitava Roy has also directed the parties to submit their written arguments by Friday. The Karnataka government filed the Appeal on 23rd June, 2015 saying that the Karnataka High Court’s judgment was a “farce”, and that “arithmetical errors made the judgment illegal”. It is also argued that the judgment had resulted in “the miscarriage of justice” and should be quashed. Jayalalitha and three of her associates were acquitted in the Disproportionate Assets case by a single judge of the Karnataka High Court in May 2015. 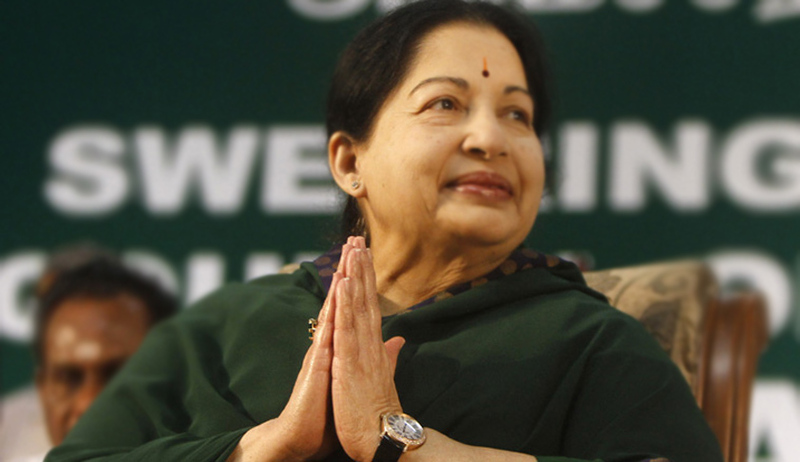 The Trial Court had convicted and sentenced Jayalalitha and her 3 associates to four years in prison besides imposing a Rs 100 crore fine, on September 27, 2014. Justice C R Kumaraswamy had allowed appeals filed by Jayalalitha and others and reversed the conviction ordered by the trial court. The case has been dragging on for the past 19 years, going back to the year 1996 when friend-turned-foe Dr Subramanian Swamy filed a complaint against J Jayalalitha, who was out of power at the time, alleging corruption and accumulation of assets disproportionate to her known sources of income.